Karen Walker sunglasses, $320, Molly Goddard sweater, $310 at Nordstrom ( www.nordstrom.com). Chloé sunglasses, $600 at Nordstrom. Kaelen faux-suede top, $595 (U.S.) through www.kaelennyc.com. Chanel sunglasses, $435 at Chanel (www.chanel.com). Philosophy di Lorenzo Serafini sweater, $420 at Holt Renfrew (www.holtrenfrew.com). 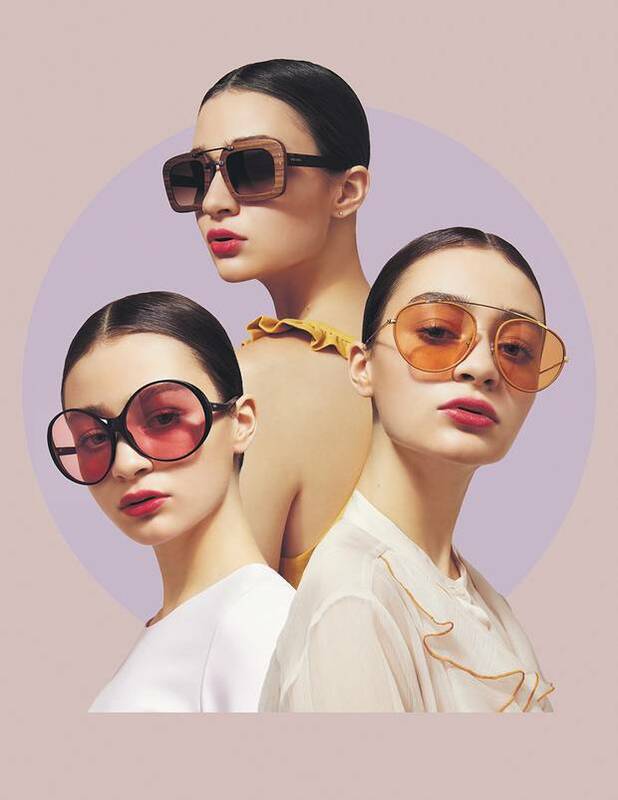 Whether you opt for retro forms or more futuristic designs, colour is key to making your sunglasses stand out this spring. Emilio Pucci sunglasses, $360 at Holly Eyewear ( www.hollyeyewear.com). Cushnie et Ochs dress, $2,135 at Holt Renfrew. Prada sunglasses, $565 at Holt Renfrew. Eliza Faulkner dress, $415 through www.elizafaulkner.com. Retrosuperfuture sunglasses, $350 at Spectacle (www.spectaclelovesyou.com). See by Chloé top, $600 at Holt Renfrew. Even utilitarian styles, including updated aviators and goggle-like shapes, are tweaked with tinted lenses. Warby Parker sunglasses, $145 (U.S.) through www.warbyparker.com. Miu Miu shirt, $990 at Holt Renfrew. Thom Browne sunglasses, $655 at Spectacle. Givenchy blouse, $2,645 at Holt Renfrew. Cutler and Gross sunglasses, $715 at Cutler and Gross (www.cutlerandgross.com). Smythe blouse, $325 through www.shopsmythe.com. Retro upgrades make an impact: mid-century inspired with rockabilly flourishes, a classic in transparent acetate and geometric shapes with a pop of colour. 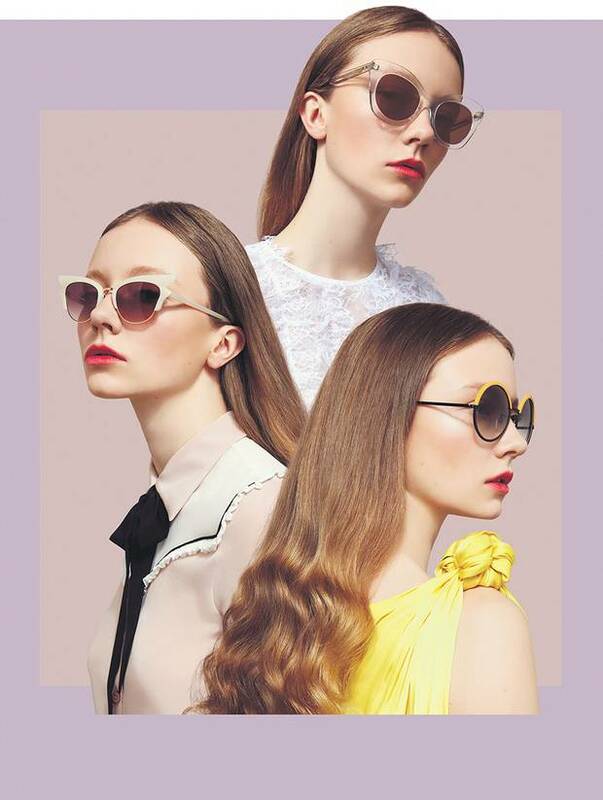 Styling by Nadia Pizzimenti for Judy Inc. Makeup and hair by Sheri Stroh for Make Up For Ever/Moroccanoil/Plutino Group. Models: Alexandra H and Ariel at Elmer Olsen Model Management, Brianna at Next.